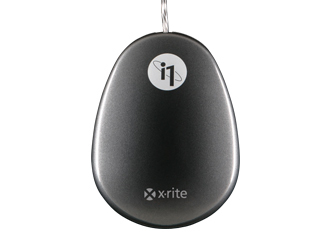 X-Rite i1Display 2 is the professional choice for precise on-screen color. It's perfect for photographers and designers who want more control over their monitor profiles. Working with a calibrated and profiled monitor is essential for professional photographers and designers. The X-Rite i1Display 2 offers the tools you need to attain high-end, accurate, on-screen color, whether in your own studio or in a collaborative production environment. 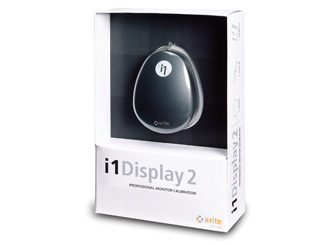 With i1Display 2, you can precisely measure all types of displays - including LCDs, CRTs and laptops. 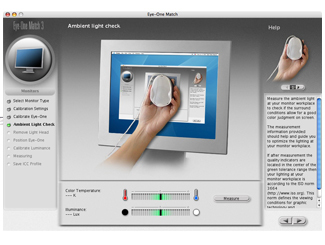 The included i1Match software offers two modes. Easy Mode provides great results with a few simple clicks, while Advanced Mode helps experienced users achieve the best possible monitor calibration with optimized brightness and contrast controls, custom gamma and white point, reference profiles to match multiple monitors, and unlimited gamma and white point settings. The X-Rite i1Display 2 enhanced monitor features such as Workgroup Match, Ambient Check and Match, Push Button Calibration and Validation help you get the exact color, every time, and Trend Controls keep you in touch with performance. 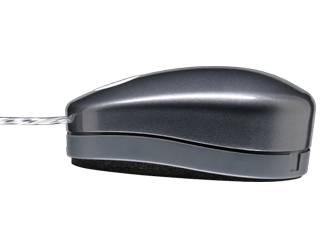 Software interface provides an Easy Mode for great results with a few simple clicks, plus an Advanced Mode for experienced users to achieve the best possible monitor calibration. i1Display colorimeter, i1Match monitor software, i1Share software, counter weight, USB power cord, interactive training CD, PANTONE® Digital Libraries and Quick Start Guide. +Can a Colorimeter Profile an LED Display? +CRI in i1Share - What is This? "Color is the backbone of my art. If my color is not right, then what I saw is not being conveyed. The beauty of the i1 system is that, across the board, I can get accurate color on my monitors, scanners, printers and digital projectors. The elegant interface is so easy to use and is the same for i1Display 2,which I carry with me everywhere I go!" 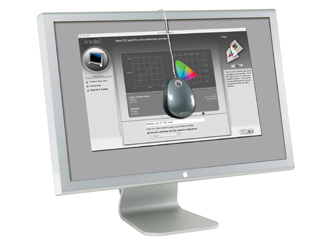 "Without accurate monitor calibration you are simply guessing on your image. I can't guess on my photography. As a fine art nature photographer my screen has to be color accurate so that I can soft proof before I print. The i1Display 2 provides excellent results and is a piece of equipment I can't live without. Any serious photographer should consider this as a piece of equipment you simply have to own."